Get the best out of your weight loss surgery and set yourself up with all the right tools you need to enjoy your new lifestyle. After your weight loss surgery you’ll be presented with a new way of life, and with this comes a new set of eating, exercise and general lifestyle skills. It’s important to understand what’s happening as you transition through this process. We’ll help you to understand the changes you will be going through so that you can make the best decisions to ensure your success in your new lifestyle. How to assess risk of nutritional deficiencies. As our pre-op sessions we also offer post-op individual sessions to you who are needing or wanting one-on-one support and monitoring. The difference here is now you have a choice to see a range of our professionals including our Exercise Physiologist, Dietitian and Personal Trainer. You will need at least two Dietitian visits especially at 6 weeks and 12 weeks post surgery to manage nutritional risks. If all is going well, a dietitian session 1-2 times per year is ideal. Our Exercise Physiologist and Dietitian work with our Personal Trainer to guide you in the longer-term if you find motivation to exercise difficult or if you have an injury that requires professional attention. This is the time to look at what you need to help you reach your goals. If you are highly motivated you will need less of our support and monitoring is likely what you need, but if you are less motivated you may need frequent help – but we do have programs that can help you here. Other professionals you can talk to about your needs are your Doctor, Surgeon and Psychologist. 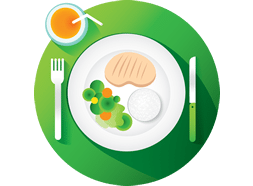 At 6-8 weeks after surgery, we provide a group session where we help you to understand your changing appetite, and teach you how to deal with cravings and understand the difference between hunger and desire. The post-operative session runs for 60 minutes and will provide you with a follow-up information pack including soft-to-solid diet materials, recipes and tips for monitoring food tolerance. We also provide you with the information required to self-monitor your weight loss and how to assess risk of nutritional deficiencies. Our aim is to keep you with your initial pre-operative group so that you can share your experiences and know that although not every case is the same – you are not alone! We want you to come away from this session feeling positive and confident in embracing a ‘new you’ and accepting of the change. You’ve made an important decision; one that will improve your health, physical wellbeing, self-esteem, mood and your desire to participate in recreation and physical activities. So, get the most out of your decision and enjoy the change. If you’re unsure about your entitlements, please call your Health Fund prior to seeing us and quote Item 700 (Group Consultation). The EvolvME team is committed to making your lifestyle change as easy and enjoyable for you as possible.